We are excited to be doing a Health Class on Meditation on Tuesday, April 21st at 6:45 at the clinic. Our May Health Class will be on Tuesday, May 12th at 6:45 and will be another Muscle Testing Class…this is one of our most popular classes…don’t wait to sign up because space is limited! Please see our Health Class page for more information. Category: Uncategorized | Comments Off on Upcoming Health Classes! 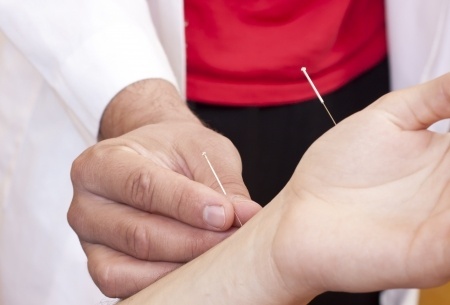 Can Acupuncture Really Be Used for Almost Anything? Acupuncture helps balance the flow of energy in the body. This is done by working with the meridian systems of the body and specific acupuncture points on those meridians. Meridians are energy channels through which energy flows and if the energy flow is balanced, one should be healthy. There are many different ways to balance the flow of energy which include needles, lasers, herbs, electrical stimulation, and massage. What Conditions Can Acupuncture Help Relieve? In China, acupuncture is used on nearly every patient seeking health or wellness care, and for every condition. The main question to address with acupuncture is, “Is my problem being caused by an energetic and/or meridian imbalance?” If so, acupuncture can have tremendous results. If not, acupuncture can still help relieve symptoms, however, if the underlying cause of the problem is not addressed, the results achieved with acupuncture will be limited. The underlying cause of the problem, such as dehydration, nutritional deficiencies, structural or emotional imbalances, toxin accumulation in the body, etc., should be addressed in conjunction with acupuncture. Then it becomes a more powerful healing therapy. For more information please see our glossary page on Acupuncture. Category: Acupuncture, Therapies | Comments Off on Can Acupuncture Really Be Used for Almost Anything? How Chiropractic Actually Works in the Body…..
Chiropractic is based on the scientific law that the body is a self-regulating, self-healing organism. The nervous system controls and coordinates this function in the body as well as the function of every cell, tissue, organ, and system of your body. While the brain is protected by the skull, the spinal cord is somewhat less protected by 24 moving vertebrae. When these bones lose their normal position or become misaligned, they can choke off or irritate the spinal cord and surrounding nerves. This disrupts the function of the tissues or organs controlled by these nerves leading to dis-ease. A chiropractor locates these areas of spinal malfunction and remove interferences that may be disrupting a state of optimum health. Chiropractic works by restoring the body’s ability to heal itself. When under the proper control of your nervous system, all of the cells, tissues, and organs of the body are made to resist illness and disease. A chiropractor’s approach to better health is to locate and remove interferences to your natural state of health! 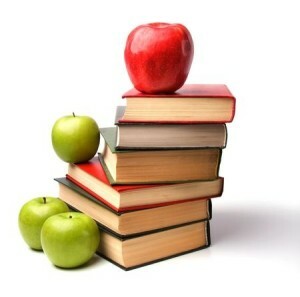 Category: Chiropractor, Therapies | Comments Off on How Chiropractic Actually Works in the Body….. Deaf Man Receives Hearing After Chiropractic Adjustment! In 1895 Harvey Lillard, who had been deaf for 17 years, received the first chiropractic adjustment from Dr. D.D. Palmer. Three days later his hearing returned. How was this possible? The brain communicates with and coordinates the function of every system, organ, tissue, and cell in the body. When structural problems cause communication breakdowns between the brain and the rest of the body, proper function becomes impaired, and dis-ease results. The most common place for this to occur is in the spinal column. This is what Dr. Palmer corrected in Harvey. Chiropractors are masters trained at removing these structural imbalances releasing the full healing potential of the body through the nervous system. For more information on how chiropractic can improve your health, please see our chiropractic page. Category: Chiropractor, Success Stories, Therapies | Comments Off on Deaf Man Receives Hearing After Chiropractic Adjustment! What Conditions can a Chiropractor Help With? Category: Chiropractor, Therapies | Comments Off on What Conditions can a Chiropractor Help With?